David B Dudley was born in Candia, NH, but had moved out to Minnesota after June of 1860 (when the Candia census was taken). He enlisted with the 1st Minnesota Infantry on 29 Apr 1861 as a private, later being promoted to corporal and afterwards to sergeant. He was wounded during the Battle of Antietam on 17 Sept 1862, and died on 6 Oct at Frederick, MD. While most of the remaining grave markers in Candia Village Cemetery are badly rusted, this one (marking the grave of George Turner) had been repainted a gold color. 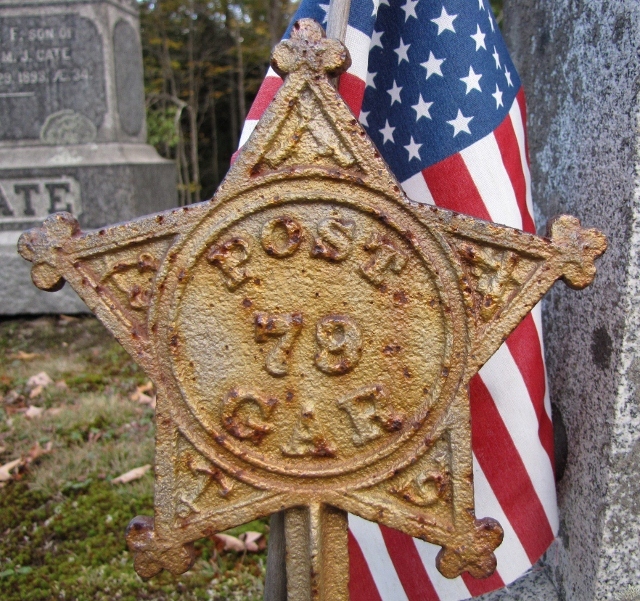 Post 79 was formed in 1886.